Sparkling water ... clear skies ... music in the air ... vendors lined up along the canal ... it can only mean one thing. It&apos;s CANAL FEST weekend! If you&apos;ve ever been to Canal Fest before, you know what delights await you on Saturday, April 22 from 2 - 8 p.m. But if you&apos;ve never been, I&apos;ll break it down for you. And when your kids or friends say, "Whatcha wanna do this weekend?" you&apos;ll be ready with an answer. Or for more area events, just visit our website at www.irvingtexas.com/events. Where: Main Stage on Las Colinas Blvd. near O&apos;Connor Blvd. 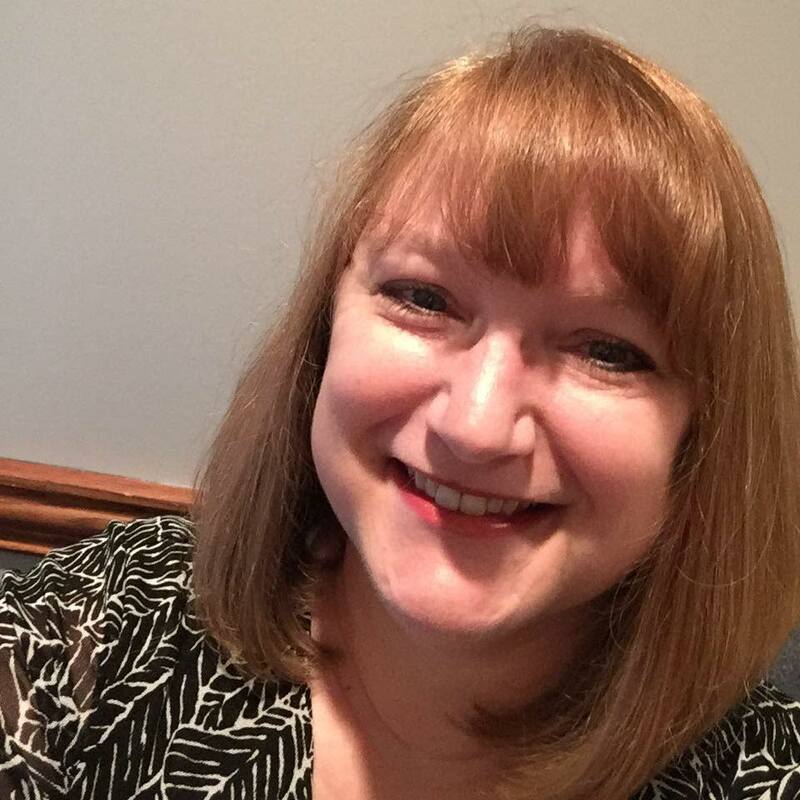 2 - 2:45 p.m. - Jenna McDaniel was born and raised in Texas with an undeniable love for music that she describes is "as big as the Texas sky." Inspired by Taylor Swift, Jenna has opened for artists such as Cory Morrow and Jason Boland. 3 - 4 p.m. - Jonathan Fox grew up in Dallas, but moved to Austin where he&apos;s coupled his natural musical talent with a myriad of influences. Performing across the southern US, he and his band twist together pop-rock with Americana for a carefree and unique sound. 4:30 - 6 p.m. - The King David Band is a versatile dance band led by vocalist/guitarist David Whiteman. Covering a wide range of genres, the 14-piece band features Top 40, R&B, funk, rock and dance music, delivering a top-notch show every time. 6:30 - 8 p.m. - Love & Happiness describes how they make you feel with their dynamic, high-energy jazz and R&B classics to hip-hop and modern Top 40 hits. This powerhouse band has the polish, professionalism, and talent to keep you on your feet, having the time of your life. 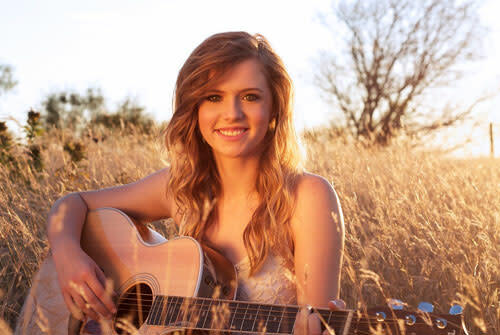 2 & 3 p.m. - Molly May Rockwell was born and raised in Texas and began writing music in high school. Having already released a full length album, she is poised to take over the music scene. 4 & 5 p.m. - Zach Coffey is unlike most young country musicians. With a background in opera, he has an ability to blend his smooth, versatile voice perfectly with any music. 6 & 7 p.m. - Joel Cross, a singer-songwriter with a voice for the ages, is known for his amazing combinations of acoustic, soul and blues that can connect with any audience. 2:15 p.m. - Azul Raks Belly Dancers have been dancing together for over five years. Fusing together multiple styles of movement with belly dancing, their love for dance, and their silly personalities, this troupe creates a seamless and intriguing show. 3:15 p.m. - Ayubu Kamau African Kings and Queens program uses African drum, dance, theatre and storytelling to nurture fundamental life skill tools for personal and collective growth, achieve a sense of expression and build character. 4:15 p.m. - Furious Bhangra & Punjabi Gabrus Indian Dancers are formed by area youth who gather to learn and reinforce the importance of cultural understanding and expression through movement. 5:15 p.m. - Ballet Folklorico Azteca de Fort Worth, the oldest, largest and original Folklorico dance group is also Fort Worth&apos;s most recognized Mexican folk dance organization. 6:15 p.m. - Elite Dallas Cirque Theatre Youth Troupe loves to thrill audiences with a signature fusion of artistry, acrobatics and high-impact entertainment. The youth troupe unleashes the potential of future stars. 7:15 p.m. - Grace Hula Dance, Drum & Fire. These beautiful dancers, skilled drummers and daring fireball twirlers of Grace Hula offer an exciting and interactive show that takes audiences to the tropics in a memorable show. 2 & 4 p.m. - Sugarfree All Stars from Oklahoma City has been listed as one of Time Magazine&apos;s top 12 family music acts in America. They blend music genres to provide a high energy rock show dance party for all ages! 3 & 6 p.m. - MerryMakers - All About the Arts specialize in entertaining children of all ages, making memories across the country for over two decades. This innovative show incorporates comedy, magic and fun as children learn about the arts. 5 & 7 p.m. - Flying Theater Machine creates new and unique stories at every performance with the help of the kids in the audience. Kids are invited to jump on stage and become a part of the show! 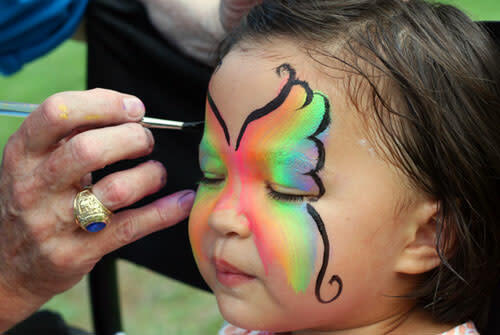 Children will enjoy free face painting, balloon twisters, magic and more along the south side of the canal, while all ages can take advantage of craft booths located on both sides of the water. All craft vendors will be selling handmade, unique items. Additionally, the canal features several water-based rental businesses. Purchase a gondola ride with a singing gondolier, take a ride on the Lady Carolyn cruise boat, or test your balance on a stand-up paddle board. Step inside the United States – Mexico Cultural and Educational Foundation for a unique experience. Located on the south side of the canal, the exhibit features photography, paintings, drawings and more. Many of the pieces are available for purchase, and the local artists are often present to answer questions and discuss their works of art. Where: Lining both sides of Las Colinas Blvd. Enjoy free, interactive entertainment including henna tattoos and caricature portraits. Visit with City of Irving departments and other area businesses for information, complimentary gifts and the opportunity to register for great prizes. A range of food and alcohol vendors bring you multiple options, from frozen desserts to cultural fare. 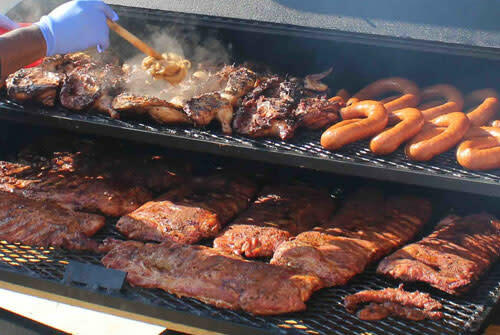 Among these options, you&apos;ll find Zeytin Mediterranean Grill, What&apos;s Cook&apos;n Chef, Tu Bones BBQ, TC Country Corn Roast, Steel City Pops, Social Ice, Platinum Catering, Kona Ice, Fuzzy&apos;s Taco Shop, The Culinary Improv, and Chef Cassy&apos;s Creations. Also, several restaurants are located within the festival grounds, including The Avocado Lounge, Subz N Stuff, and Underground Indian Cuisine. Limited seating is provided at each stage, however most of the viewing area is standing room only. 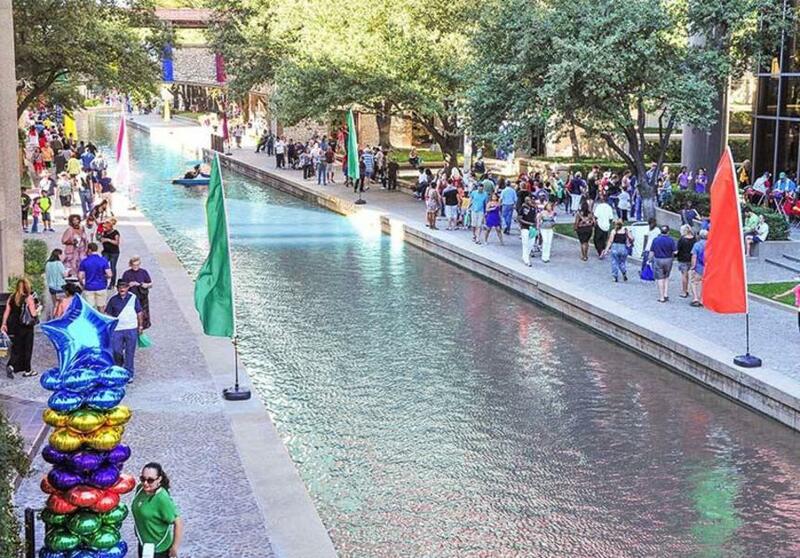 Wheelchair access to the canal is available via parking garage elevator at 220 E. Las Colinas Blvd. or via ramp located next to the bridge on Las Colinas Blvd. An ATM is available at street level near the Information Tent. Alcohol will be sold only to guests ages 21 and older with valid ID. Alcohol may not be brought into or removed from the event site. Leashed, well-behaved dogs are permitted. The handler is required to control and clean up after dogs at all times. Please refrain from smoking within the event grounds. While you&apos;re posting photos of this event, be sure to tag us - #VisitIrving - so we can enjoy your photos too!